After sending an email to SEGA Europe, with a generic 6 question list, =TSS= founder Svend Joscelyne (AKA Dreadknux) recieved a response – but what he wasn’t expecting was who replied to it — Masahiro Kumono and Shun Nakamura; project leaders for the upcoming game “Sonic the Hedgehog,” scheduled for release on the PS3 and X-Box 360 later this year. The two Sega representatives revealed exclusively to TSS details about the new Sonic game, one in particular being that Amy Rose — Sonic’s self proclaimed fiance (the nerve, eh? =P) — will indeed have an appearance, stifling all the rumors of a supposed love interest between Sonic and the new “Princess Elise” character, who will have a vital role in the plot of the new Sonic title. Continue reading SoS and NextGen Goodness! The Summer of Sonic website, a massive official fan-project led by The Sonic Stadium, has gained information that seems to confirm that Amy Rose is set to make an appearance in Sonic the Hedgehog for PS3 and XBOX 360. 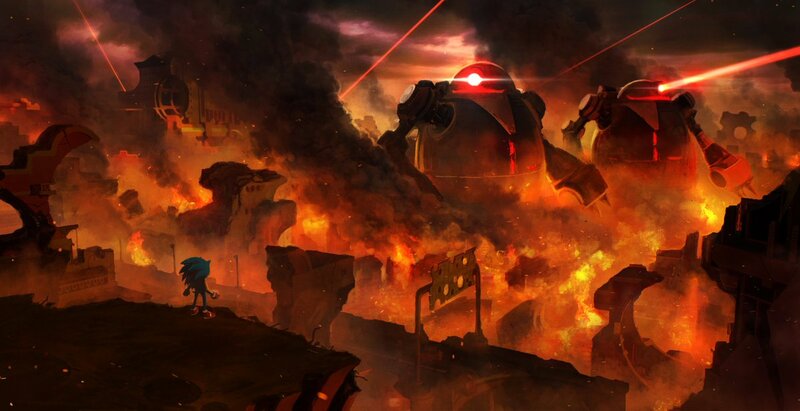 In responding to a small set of Q&A questions exclusively for the Summer of Sonic website, arranged by SEGA Europe and TSS, producer Masahiro Kumono (also the new Head of Sonic Team since Yuji Naka’s departure) and director Shun Nakamura briefly stated their feelings for the Sonic franchise and where they see it heading after 15 years of popularity. Congratulations are in order for Sonic Team as the fandom rejoices at the apparent return to form for the 2006 Sonic game aptly named Sonic the Hedgehog (working title). Apparently this is not just a mentality shared by the fans, because the many game journalist that attended the E3 show were more than optimistic for the spiky ones first next generation outing.